Representative Honours: Northern Ireland: 1 Full Cap (1977). 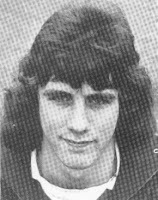 A talented youth player with Bangor, Dave Stewart was taken to Hull City as an apprentice by Terry Neill in the summer of 1974. He made his League debut against Blackpool in April 1975 and the following August signed professional forms, netting his ex-club a £20,000 fee. 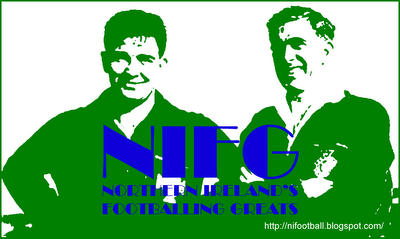 Stewart continue to progress with the Tigers, and drew the attentions of Northern Ireland manager, Danny Blanchflower. The sort of player Blanchflower really admired, exciting and adventurous, the nineteen year-old was included in the Irish side as deputy for George Best in a 3-0 World Cup win over Belgium. Thereafter Stewart’s effectiveness faltered as he suffered a succession of injuries. He seemed too light-weight for Second Division football and he struggled to hold down a place at Boothferry Park. After just five League appearances in the 1978/79 campaign he sought a release from the club so he could spend time convalescing in Australia, however Hull promised him a new contract on his return. The trip "down under" fell through and Stewart subsequently rejected Hull's contract offer. Blanchflower stepped in to take him to Chelsea as a free agent in May 1979. The Stamford Bridge club had been freshly relegated to Division Two, but Stewart had little time to make an impact with Blanchflower leaving in September. Stewart left Chelsea in November 1979 without making a first-team appearance. Signed by Fourth Division Scunthorpe, Stewart toughened-up, gaining more than a stone in weight from his Hull days. An effective goalscorer from the wing, he couldn't help lift the Iron away from mediocrity and was released after the club finished second bottom of the League in 1982. He drifted into non-League circles and spent some time in Denmark before making his Football League swansong with Hartlepool in March 1983. He left full-time football behind at the age of just 25.